Why would I need self storage in Corona, CA? There are a variety of reasons why you might need self-storage in Corona, CA. How much is a storage unit in Corona, CA? The cheapest storage unit in Corona, CA is $43.00 per month. What size storage units do you have available in Corona, CA? In Corona, CA we have sizes that range from 2'x4' to 10'x23' to suit your storage needs. How much is it for a 2'x4' storage unit in Corona, CA? The cheapest 2'x4' storage unit in Corona, CA is $52.00 per month. Corona, just north of the Santa Ana Mountains, is a major suburb of Los Angeles. 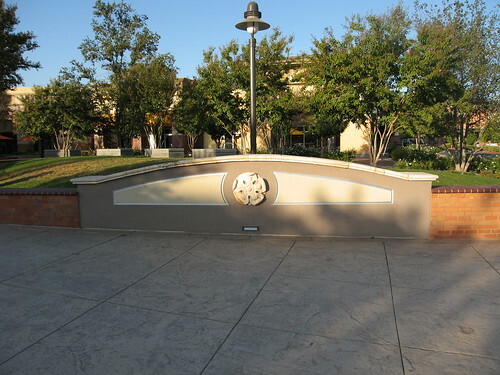 This Riverside County city was originally named South Riverside and also earned a collection of varied nicknames: "The Circle City" for its uniquely circular street layout, the "Lemon Capital of the World" for its booming citrus industry and the "Gateway to the Inland Empire" for its proximity to the L.A. metropolitan area. Like many California cities, Corona is divided into a number of distinct neighborhoods, each with its own unique identity and personality. The area that's now Corona was originally inhabited by the Luiseno Indians and later settled by the Spanish. The land became an area for farming sheep and cattle, and developers decided to raise money and create a community in 1886. The town was incorporated in 1896 and was named after its circular Grand Boulevard, which would host several auto races in the 1910s. The city was a favorite among mid-century celebrities, including Lucille Ball and Desi Arnaz. Even so, it remained largely agricultural until the 1980s. During the 1990s, the low real estate prices in Corona attracted a number of large developers. Thanks to its convenient access to major freeways, the city quickly became a large metropolitan suburb. Top industries in Corona include manufacturing, health care, education, construction and retail trade. If you're planning to join the job market in the city, you'll be glad to hear that Corona has an unemployment rate that's lower than the Riverside County average. Top employers in the city include the Corona-Norco School District, the Corona Regional Medical Center, Watson Pharmaceuticals and the City of Corona. The Corona-Norco Unified School District manages public schools in the city. There are a few private schools in the city, most of which are faith-based. Utilities: Southern California Edison and Southern California Gas are the major energy providers in the area. The Corona Department of Water and Power manages local water services as well as power for a small portion of the city. Garbage and Recycling: You can expect your trash, recyclables and yard waste to be collected on a weekly basis. Transportation: You have many different public transportation options in Corona, including services provided by MetroLink and the Riverside Transit Agency. The city also offers Dial-a-Ride services and a fixed-route bus system within city limits. The median home value in Corona is just above the state average and significantly more than the national average. You can also expect to pay more for rent here than in other U.S. cities, but it's relatively affordable when compared to many other California cities. Our lowest priced units in Corona, CA average $47.50 per month. 159 people have reserved units in Corona, CA in the past 30 days. There are 2 locations within Corona, CA's city limits.